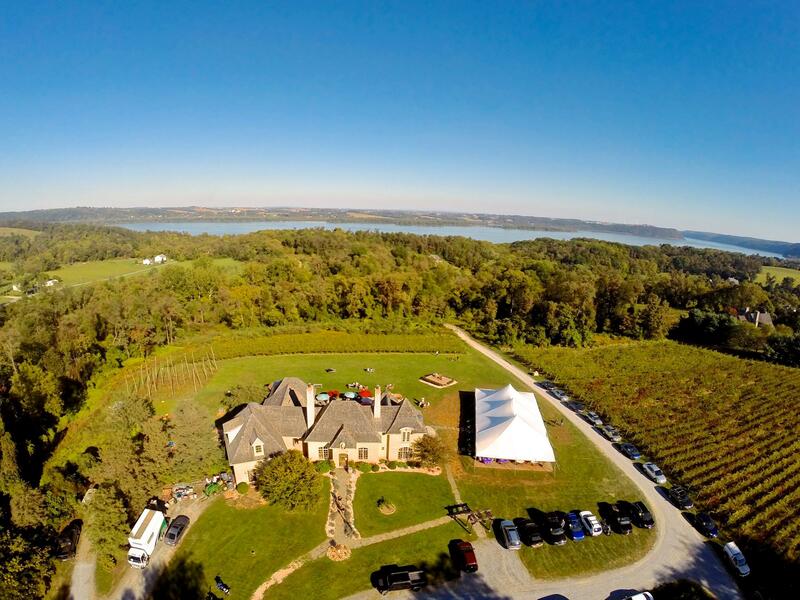 Moon Dancer Winery is a prime location for celebrations such as Wedding receptions, private parties, bridal showers, rehearsal dinners, and private wine-tasting events. The winery was designed as a French Country-style chalet, featuring a Great Room with two fireplaces and cathedral ceilings. There is a large granite tasting bar. 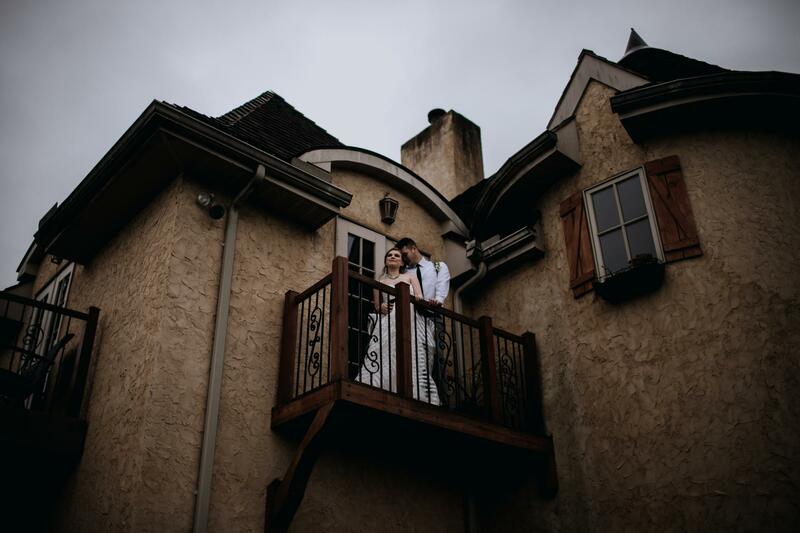 A spiral staircase leads to a second floor and a private suite where brides and bridesmaids can get relax before the ceremony or reception. Outside, there is a spacious patio for entertaining and acres of land that can accomodate a large party tent and plenty of parking. 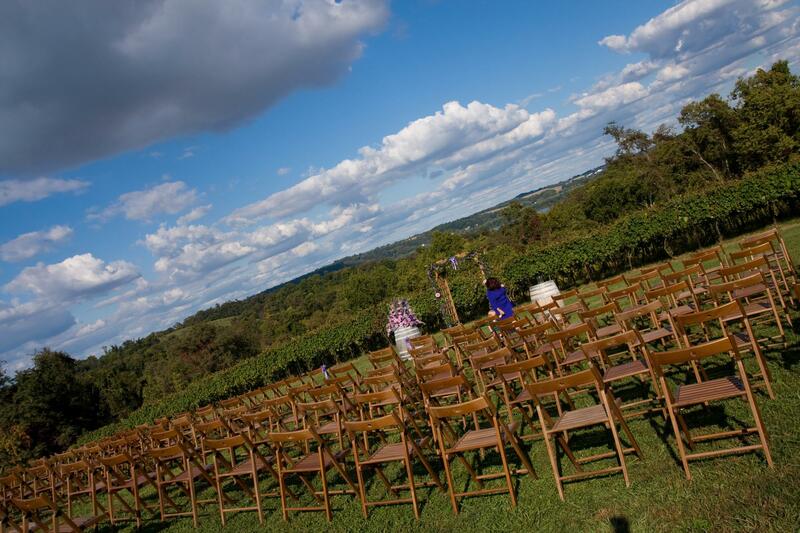 The patio overlooks the Susquehanna River and surrounding vineyards. 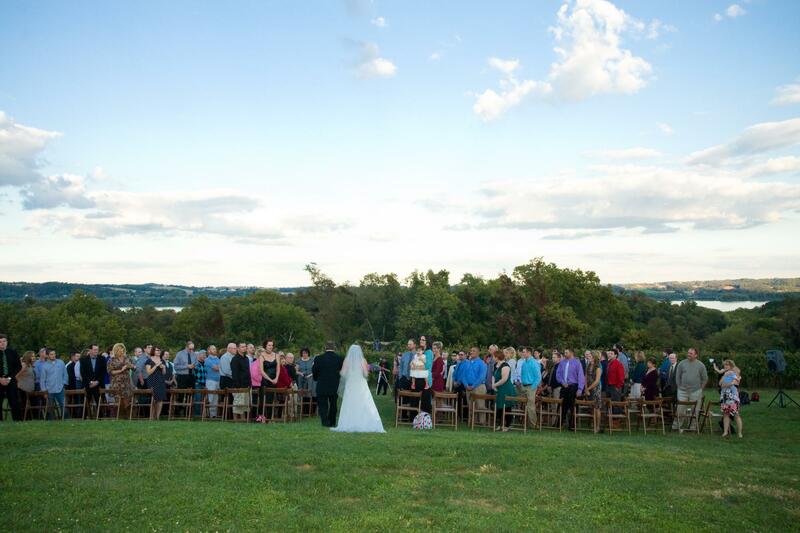 Our facility is available for Weddings with site prices as follows: Saturday evenings from 6 - 11 PM $6,450 and Friday & Sunday evenings from 6-11 PM $5,450 with 40 X 80 tented area over cobblestone pavers, perimeter tent lighting, cathedral windowed sides if needed. This cost is for the facility and surrounding grounds including tables and chairs and a 15% discount on wine for the evening. We also host Bridal & Baby Showers and Rehearsal Dinners in the Great Room or The Vintners Lounge as well as Corporate Events. 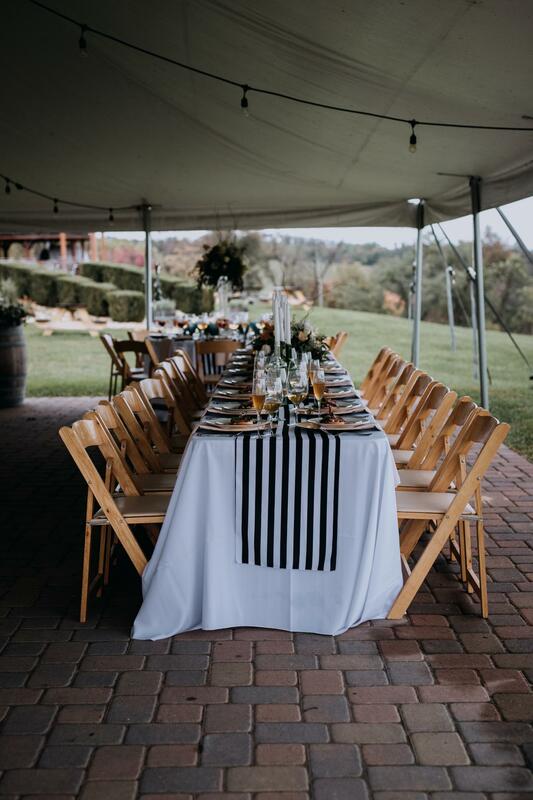 Most of winery weddings average 150-250 guests and are a combination indoor / outdoor event to take advantage of the spectacular views of the river and vineyards. Inside, our capacity is limited to approximately 75-85 people depending on the set-up. 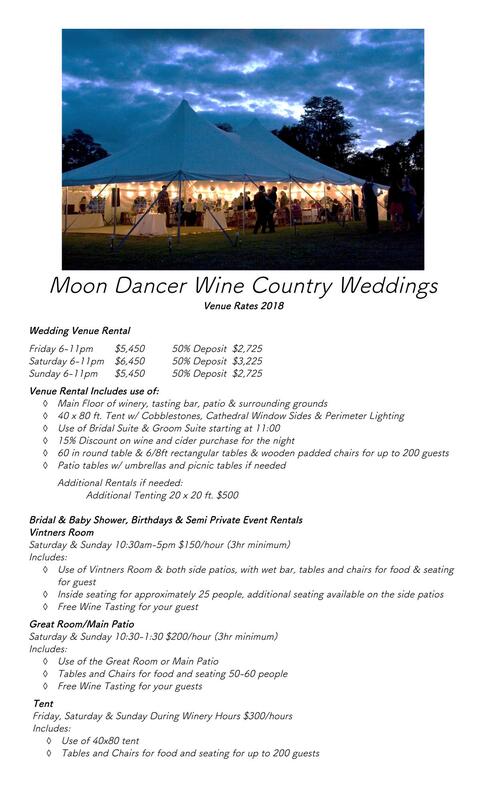 The tent capacity is approxiamately 250 +/- depending on table arrangements. 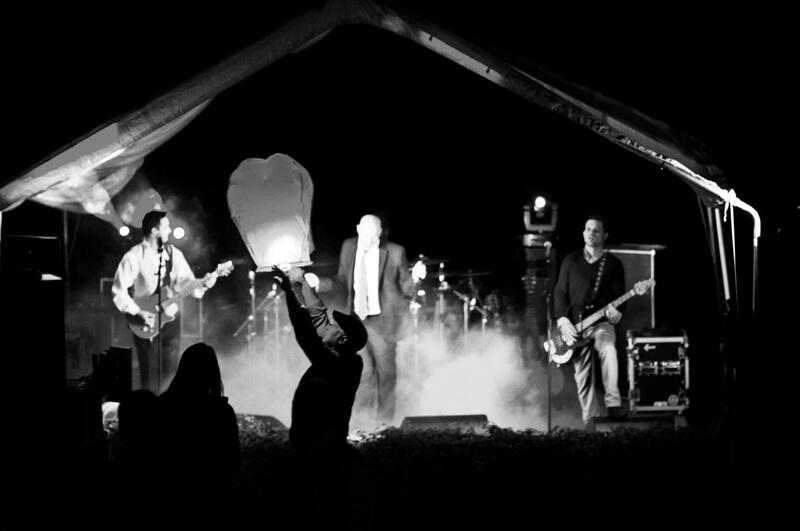 We require a 50% non-refundable deposit to hold event dates and the balance is due 30 days before the event. 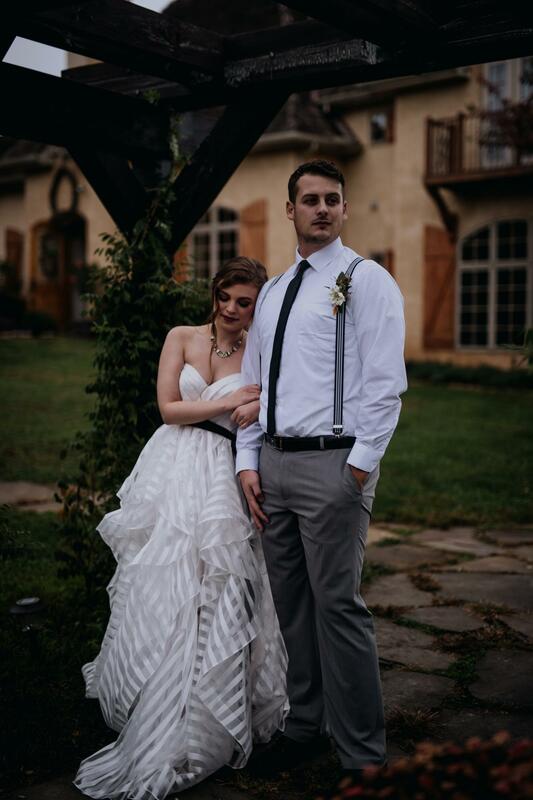 We also require a one day certificate of liability insurance for Weddings which usually cost $100-$125. Further pricing information and pictures are listed below for your review. 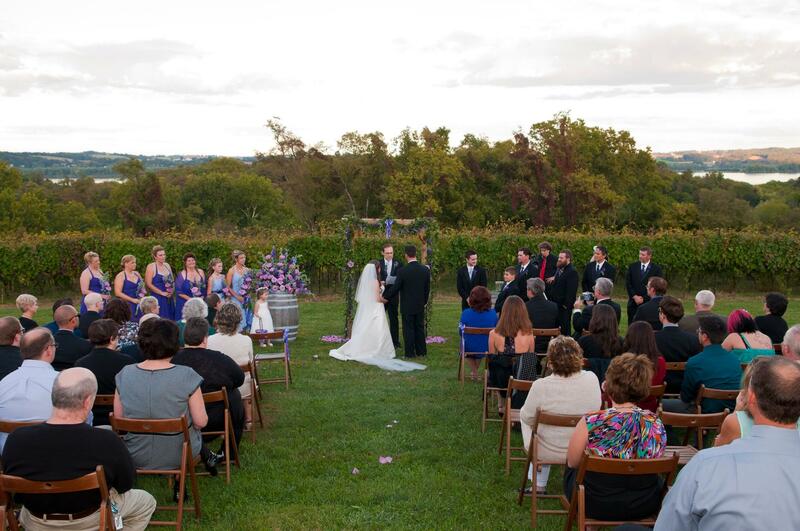 Please feel free to email us if you have any questions, or stop by the winery to see us. We're sure you'll be touched by the "Moon Dancer Magic" that captures us all!! Thanks again! ....We're excited to work with you to make your special occasion one that you and your guests will remember for the rest of your lives!